A third lesson: Efficiency is everything-yet often unseen. 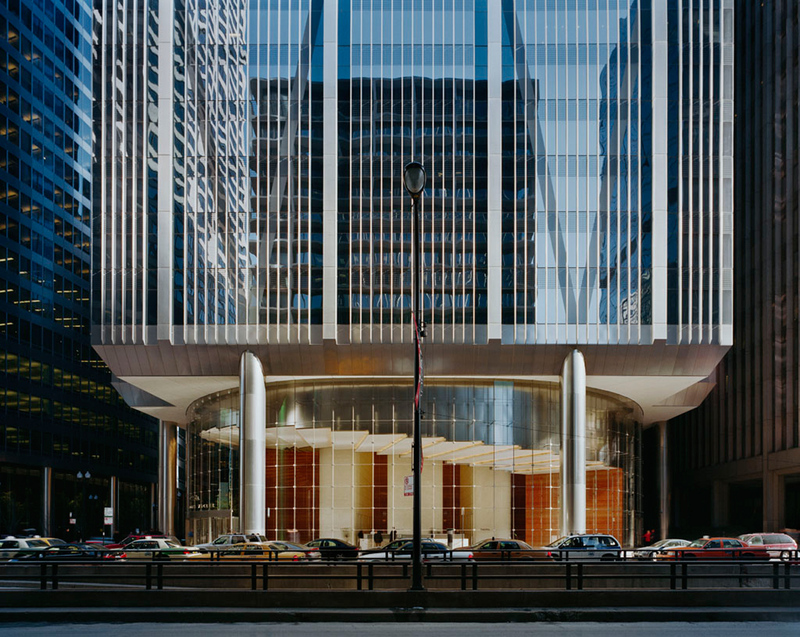 For example, in addition to its column-free interiors, 111 South Wacker benefits from its extensively glazed facades. 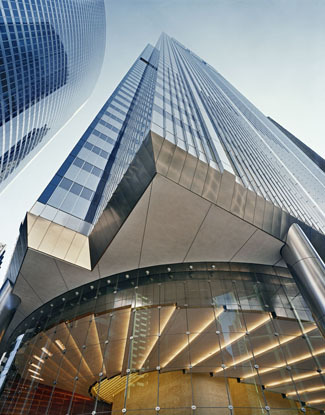 "The floors lay out 16 percent more efficiently than in 1980s-style buildings with punched-out windows, because there are fewer obstacles," notes Goettsch partner Steve Nilles. 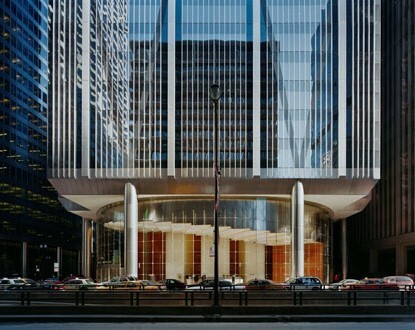 Similarly, the Hyatt Center also features practically floor-to-ceiling glass, accented by linen-textured stainless steel (a reverent nod, perhaps, to Skidmore, Owings & Merrill's nearby Inland Steel Building of 1958). In both cases, double-glazed low-E panels-clear for the Pritzkers, reflective for Buck-help meet Chicago's new, ASHRAE-based energy ordinance. 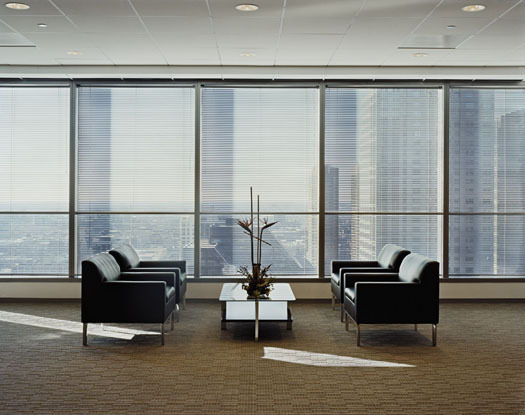 Not surprisingly, both envelope designs also incorporate mini-blinds, primarily to direct daylight and control glare.